Shopping for someone other than yourself is always hard. Especially if you’re shopping for clothes. Guys, you know the feeling. The process. Once a year, you have to build up the courage to shuffle over to the forbidden section of the store. The women’s side. Weird eye contact seems to be following you. Everything moves a little slower. You’re slightly scared to touch anything. Yikes. Just talking about it brings on the anxiety. And girls, the men’s side may as well be a chemistry final. By the end, it’s nothing more than a total guessing game. How difficult is it to shop for men? Near impossible. You’re at the checkout counter. Almost there. Then, you start thinking. Will he really like this? Is this stuff even cool? Is he just going to do the grunt/shrug thing when he sees this? Everyone, calm down. 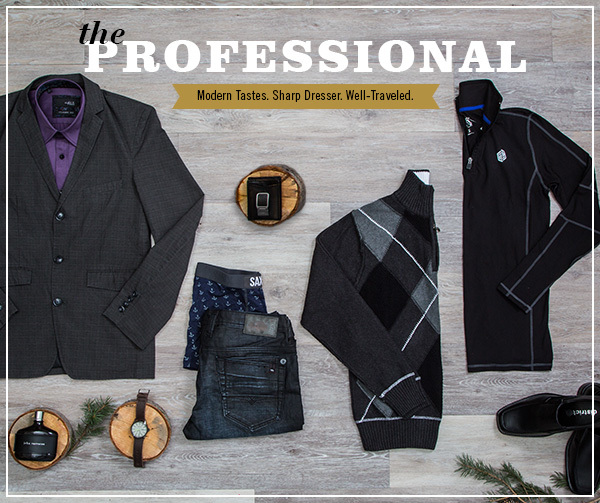 We put together six profiles of the trickiest people to shop for. This might sound like most men you know. Sporty. Active. But he’s also unexpectedly picky about what he wears. This guy ranges in age. He could be 18. He could be your dad. He enjoys being on-the-go, and comfort is his favorite style. High quality sports gear – he wants to feel good and look good. Shoes – he most likely already has a fairly large shoe collection. Underwear. No, seriously. Really nice underwear would be a great gift for this guy. He doesn’t want to spend the money himself, but he secretly wants quality undergarments. You know the saying, “What do you get a man who has everything?” Not saying this guy has everything the world can offer, but he most certainly has a wide collection of clothes. Making him even more difficult to shop for. He says words like “re-conceptualize” and is usually dressed a little sharper than the rest of the party. Cologne – he will appreciate the aesthetics of a nice cologne. Leather strapped watch – or really anything that’s classy and timeless. Sweaters – usually a quarter-zip so he can layer it over a button-up. Gift cards to his favorite places in a leather wallet. If Santa was real, this guy might get coal. He’s rare. Extremely difficult to shop for. He boasts a “badboy” charm. Most likely, he’s 15 minutes late to the Christmas party. And things tend to just happen around him. He didn’t choose the edgy lifestyle. The edgy lifestyle chose him. 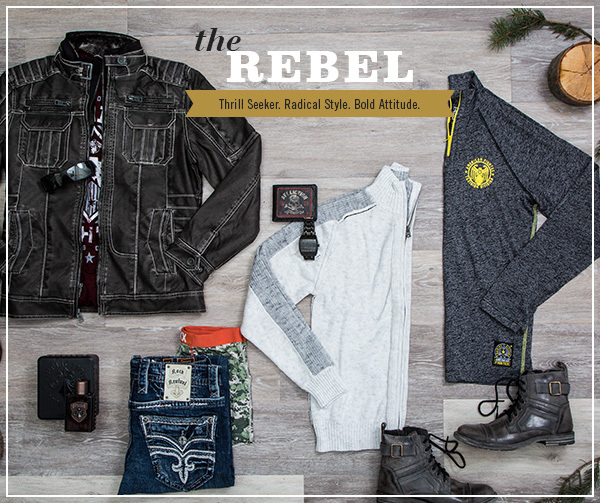 Rock Revival jean – or similar, rockstar-ish denim. Worn-in jackets – he’s looking for a jacket to throw on while he’s running out the door. Rugged boots – if he doesn’t already have a pair, these are a must. Sunglasses, or anything black and leather. She appreciates life as a romantic comedy. She frequents Starbucks and takes BuzzFeed quizzes to find out what Disney character she is. Sparkle is probably one of her favorite colors. She’s fun to be around, and her style echoes her spontaneous attitude. Any denim with bling – err on the side of something that sparkles. Boots – this girl loves boots. Accessories – she can’t have enough. Bracelets, necklaces, clutches, any accessory. Busy. Busy. Busy. She’s always moving. Doing nothing is never on her agenda. She’s most likely a morning person and a health nut. The latest diet and work-out trends fill her conversations. 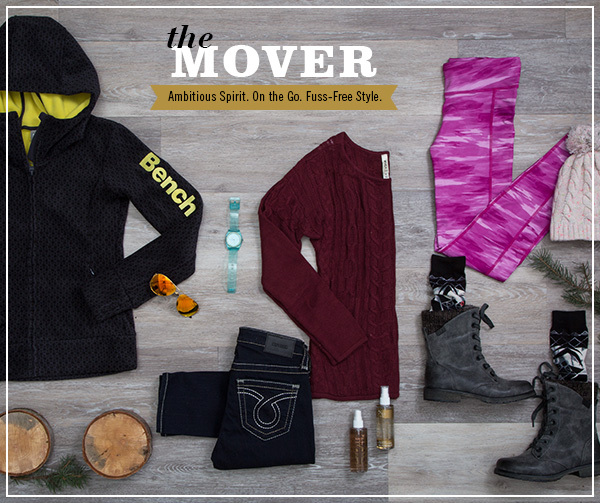 Bench and Under Armour – these brands are perfect for this girl. 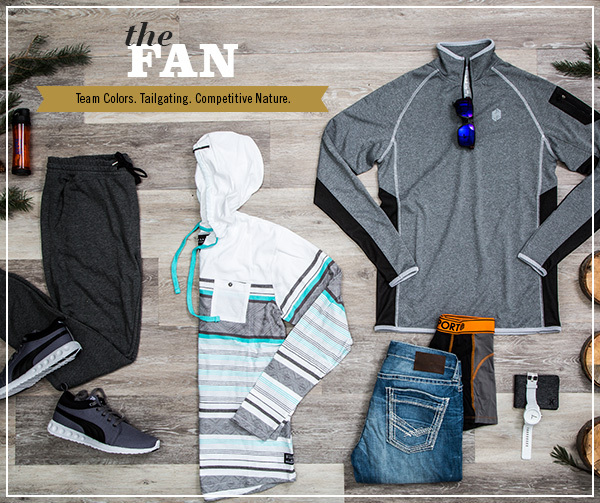 Brands that focus on performance and comfort, but also provide the latest trends. Active sunglasses – she would appreciate a nice pair of sporty sunglasses. A true adventure-seeker. She loves being outdoors and always wants to explore the unknown. She’s crafty. Her weekends are full of making stuff for herself and others. 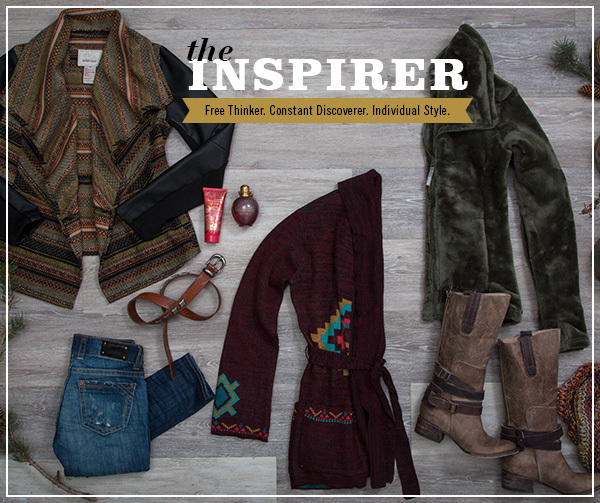 Her style is one-of-a-kind. Over-sized tops – flowy cardigans, large sweaters, etc. Earth tones – keep this in mind for whatever you’re getting this girl. She will most likely want it in earthy colors. Anything that has to do with travel. 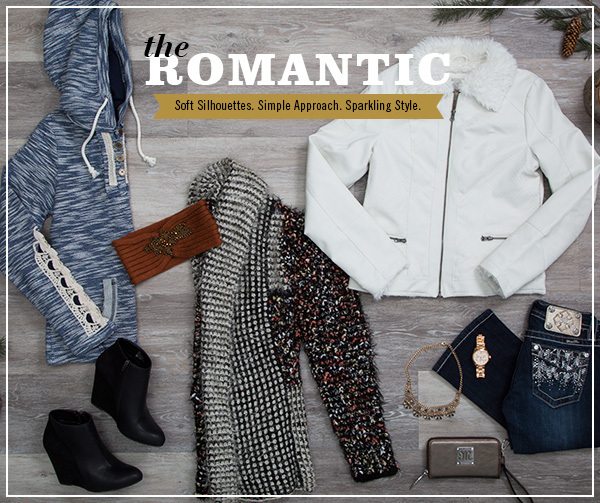 Take her on a shopping trip somewhere, or bring her something from a trip you’ve taken. She loves anything with a story behind it. No matter who you’re shopping for this year, be creative. There’s no better gift than something a little more unusual than the rest. Maybe the way it’s wrapped, or how you give it. Have fun with it, after all, it’s the holidays! The season of giving and smiling. Let us know, what’s the best gift you’ve received? What’s the best gift you’ve ever given?